Hey guys! A few weeks ago I wrote an article called All About Bash Redirections. It explains all the possible bash redirections with illustrations. I thought it would be a great idea to make a cheat sheet that summarizes all these redirections. So I did. If you want to learn how each one of these redirections work, read my article All About Bash Redirections! 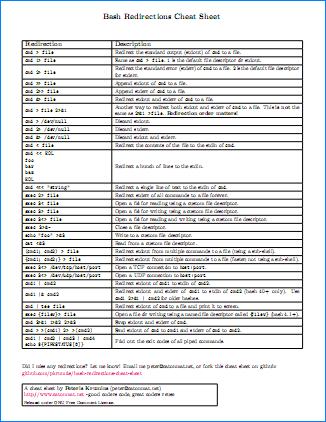 Found a mistake or want to contribute to this cheat sheet? Fork it on github! PS. I've created a dozen different cheat sheets. 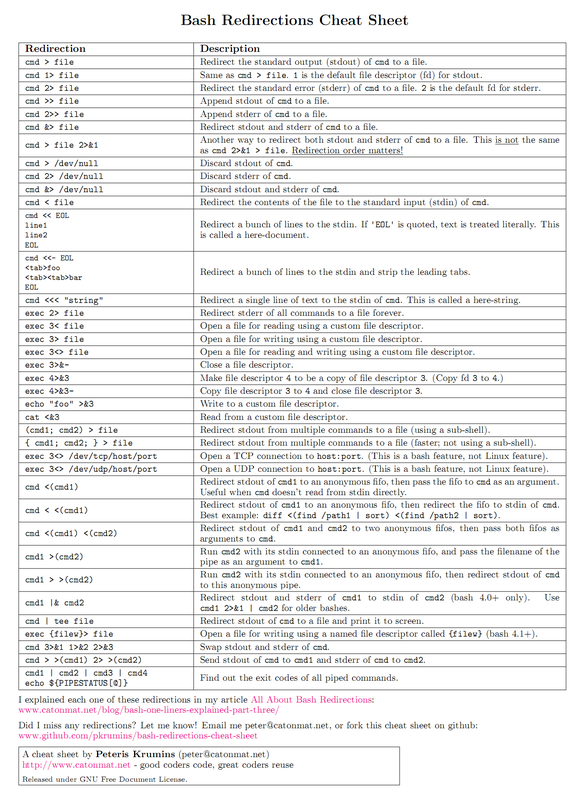 Take a look at my other cheat sheets about awk, ed, sed, perl, screen, more bash, gnu coreutils, util-linux, and many others.